Question: Are you into blanket scarves or not? I’ve said before that when I asked for this scarf for Christmas a couple of years ago I had no idea how large it was. I didn’t know what blanket scarves were or that this would be one. I didn’t think I’d be able to wear it much in San Diego since it is literally a blanket around your neck and too warm with all the other layers, but I finally realized this year that it sometimes works in place of a light jacket, especially if I’m wearing ankle boots instead of riding boots which keep me pretty warm. 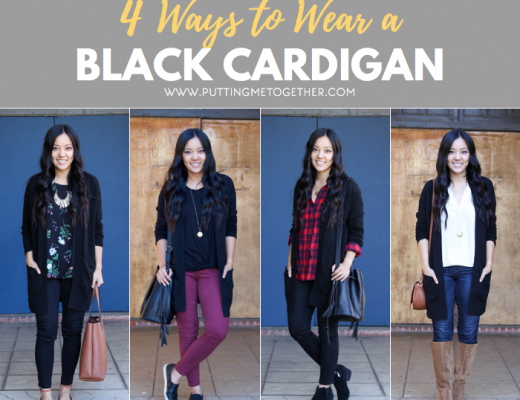 So, with those realizations…I now want another blanket scarf, haha! Since they’ve gotten popular over the last couple of years they are easily found on Etsy at pretty inexpensive prices. (See below for some of them.) Unfortunately the plaid scarf I recently ordered from Nordstrom (HERE) wasn’t as saturated in color as I hoped it’d be, so I returned it. Now I’m eyeing this navy and green blanket scarf HERE (only $10.49!) though I’m gonna think it through a little longer before I actually purchase it. Until then, I’ll just continue looking at it everyday. Not obsessed at all. Everything below is under $20, though 4 of them are $10.49. I really like how you’ve styled it. I don’t have a blanket scarf yet but it’s on my list. Thanks for the suggestions! And if you’re really cold you can take it off and wear it around your shoulders, but…that may never happen where you live. In Kansas City we have to do that a lot. 🙂 Super cute! I like the oversized scarves, but returned my true blanket one. Even when it’s freezing here, I’m too hot natured to wear a blanket sized one. I love it with the blue here. I recently bought a cobalt sweater similar in color and texture to the one you’re wearing here, so I may be straight up duplicating this outfit soon. I like that you did what was practical for your lifestyle. I think most people in “real” life don’t even know what a blanket scarf is nor care anything about it anyway. I love scarves, but I either have to wear really lightweight ones or it has to be freezing outside. I get hot. I don’t know what it is with me, but I don’t even wear pullover sweaters because somehow I get so overheated! So I’ve stayed away from the blanket scarf trend. Now wearing one as a shawl, that I could get behind! I’ve always felt shawls should come back in fashion. I have a blue and black woven one I bought in Mexico when I was 19. I was on a missions trip and we wore uniforms, with the girls wearing skirts most of the time, and I wore that shawl all over the mountains of Mexico. And it made a great blanket while we were driving through the night. The next time I take an international flight I’m bringing a shawl. I hate wrestling my arms in and out of a jacket in those teeny airplane seats. My husband runs warm as well. I’m super cold all the time, yet a blanket scarf can even be too much for me in San Diego if I’m wearing riding boots and a jacket. I wanted to thank you for your blog. I find a lot of useful information here. Last January you wrote post about StyleBook app and I downloaded it based on your recommendations alone (I usually don’t pay $5 for apps). I loved it. After a year of using it I posted my app stats on my blogs and it is very fun to see what I utilize and don’t in my closet. Thank you so much for sharing that! I love seeing how much you’ve used the app! Isn’t it fun? I’ve been meaning to make my own blanket scarf for awhile (once I learn how to use my sewing machine) and am pretty excited about it. I am pretty much always cold in the winter so being wrapped up in a blanket all day sounds pretty good! 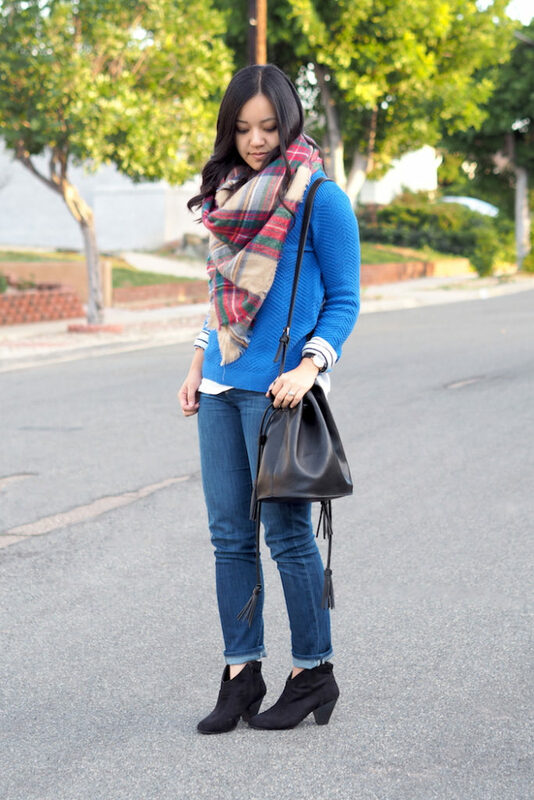 This scarf is so pretty with your blue sweater! I’m an idiot – is there a good tutorial for how to “tie”/wear one of these scarves? I love how you’ve done it! Thanks, Kara! I just fold it into a triangle, hold it in front of me with the V pointed down and my hands on each end. I cross the ends behind me and bring them to the front, tucking them under the big V. Sometimes I tie them in a knot so the whole thing stays in place. 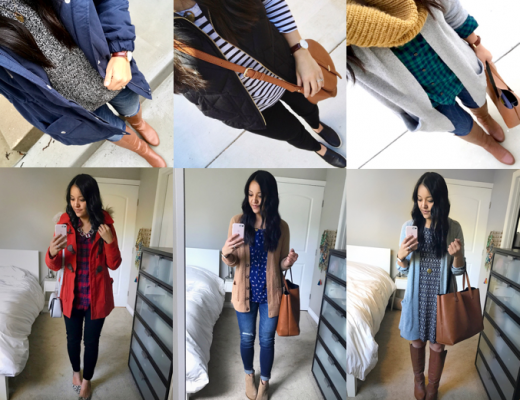 I love your bucket bag (happened to feature it in my post today too!) I saw it online at Nordstrom, but it was sold out by time I was ready to pull the trigger. Was able to find it from another retailer (South Moon Under). Whew! Oh, that’s awesome! Thanks for the info! 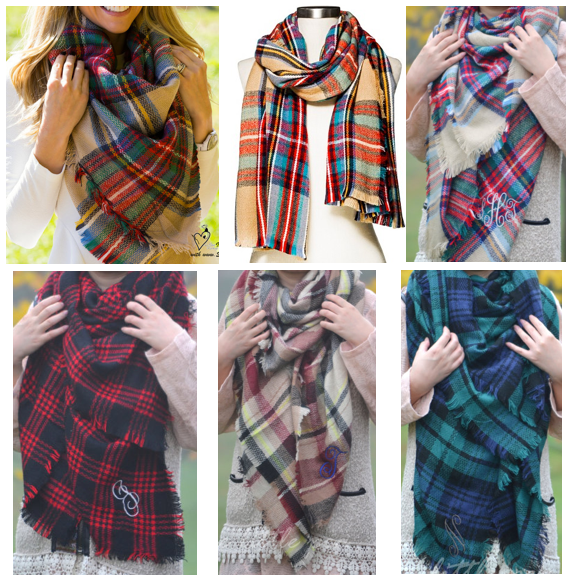 I love the look of blanket scarves but living in SoCal they are pretty useless. Even with the cooler temps, it is still too hot for me. With that said, I own more than I should and still wear them in the early mornings and evenings. Love the blue sweater with these colors. I find blanket scarves hard to wear as I’m petite, and as it doesn’t really get that cold here in winter. I have one or two wool scarves and they are only worn a handful over winter, on the really cold days! Oh, that’s a great point about being petite! I’ve heard of people cutting them in half diagonally so that they’re smaller for petite frames. I like how you styled the blanket scarf. I don’t think I could wear it successfully. Also it’s my arms and legs that get cold as opposed to my torso, so a blanket scarf wouldn’t really keep me warm!! It’s a shame because it looks nice and cosy. :3 Peace, Ashana. Thanks Ashana! My hands are always cold, but if my neck is warm then I stay a lot warmer overall. Very nice ensemble! Great scarf! I am so in love with blanket scarves. It’s pretty much a socially acceptable way to wear a blanket around and I could not be happier about it. I’m having a hard time wearing these inside, even in chilly Michigan. In place of a jacket might make sense. For now I just use them as outerwear. Love the one I got at Target last year.